Kevin Morby has made a momentous announcement this morning, unveiling Oh My God, a double album described in a press release as “a grandiose director’s cut of his biggest statement to date, epic in scope as well as sound.” Due April 26 on Dead Oceans, the City Music follow-up’s first single is “No Halo,” also out now with an accompanying music video. From a conceptual standpoint, Morby’s fifth solo album aims awfully high indeed: Oh My God, the singer-songwriter’s first full-fledged concept album, is his definitive attempt to reckon with religion. “If Singing Saw was Kevin’s L.A. record, and City Music was his ode to New York City, then Oh My God lives in the sky, above the weather, both nowhere and everywhere at once,” the announcement explains. 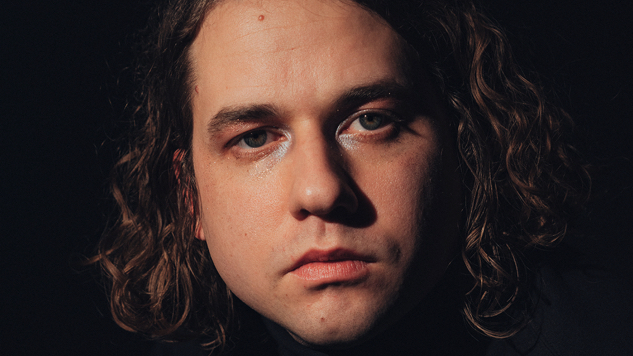 The double album takes its name from Morby’s own 2016 single “Beautiful Strangers,” which features multiple uses of “oh my god,” inspiring him to spin up an entire album based on the phrase. Produced by Morby’s Singing Saw collaborator, producer and solo musician Sam Cohen, Oh My God will be accompanied by a short film Morby created alongside filmmaker Chris Good, who directs every music video from the project, including today’s “No Halo” clip. Morby hits the road alongside Cohen this spring, kicking off their run together in Los Angeles on May 8. Morby’s world tour will boast an expanded band specially equipped to bring Oh My God to audiences, featuring current Morby backers Nick Kinsey (drums) and Cyrus Gengras (bass), and new additions Cohen (guitar), Alecia Chakour (vocals), Lauren Balthrop (vocals), Jared Samuel (keys) and Cochemea Gastelum (saxophone). Morby has also announced a new solo European tour. Watch the “No Halo” video below and find the details of Oh My God further down, along with Morby’s tour dates. You can preorder his new album here.